They boarded the place up years ago. It’s about to reopen soon. I used to work there. Making the sandwiches up to get money for college. I met a woman in that time, got married, had a bunch of kids. Never went to college. Never had any regrets. It’s been reopened by my son who like me, his father, will never leave this small town. Maybe he’ll marry that young man who still delivers milk for some reason. Have a bunch of kids, hopefully have no regrets. He tells me it’s going to be a stylish café with internet access. Truth was Zak was as straight as a dye. A rich man can do wonders for an artist. One touch of that deadly glitter and he would be free to join his girlfriend Nat before midnight. 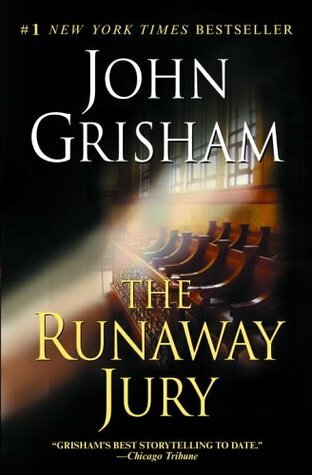 The Runaway Jury By John Grisham Review! The Runaway Jury (1996) by John Grisham is a great mystery with many intriguing layers to both the plot and the various characters involved. It was Grisham’s seventh novel. The story follows the jury in a trail Wood v. Pynex about whether to hold tobacco companies accountable for the illness and death caused to people who use their products. Set in Biloxi, Mississippi the trail is a massive trail which draws much media attention and corruption is abounding both inside the jury and outside to influence the vital verdict. Money is a huge factor for the tobacco companies and Rankin Fitch is tasked with swaying the jury in the tobacco companies’ favour by any means. But he has two opponents ready and willing to take him on: juror Nicholas Easter, real name Jeff Kerr, and a secret woman who is his girlfriend and partner in business Marlee, real name Gabrielle Brant. Wendall Rohr has filed a suit on behalf of Celeste Wood who lost her husband to lung cancer against tobacco company Pynex. For the defense is Durwood Cable. There is a great variety of characters in this story that all add to the plot in their own ways alongside the main characters. All the jurors have their own backstories which ensure their paths in the trail and we really get to know their manners. They are a great mixture and are very true to life including those who follow and those who don’t. A very compellingly told story that deals with many important issues like the power of the addiction cigarettes has and the lack of ethics in the tobacco industry, discrimination and the past coming back to haunt. This book shows many sides of life from compassion to ruthlessness. There actually isn’t too many characters in this book who aren’t deeply flawed in some way or other so that adds to the drama. You never know what is going to happen next. The Stranger By Harlan Coben Review! 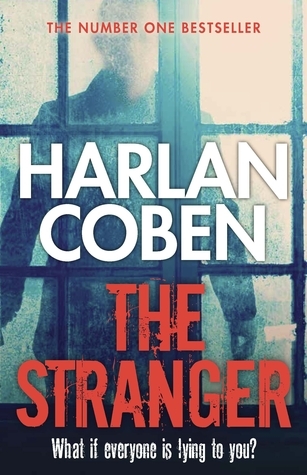 The Stranger (2015) by Harlan Coben is an engrossing read that holds your attention throughout. The book’s protagonist is Adam Price. He is married to Corinne and together they have two sons. But then the stranger arrives and informs him that his wife lied about being pregnant a few years back. When he brings it up with Corinne, she goes missing and much of the book centres on his search to find her. As he searches, more and more layers begin to unfold. The background for the family is very well-written and really makes you as a reader root for them. A very suspenseful read with many twists and turns in pure Coben style and as always with Coben, the ending is not obvious. The concept/plot of this book is incredibly intriguing. A stranger comes along revealing secrets that he has figured out through the internet. When people thought their secrets were safe through the net, they really weren’t. There is a great commentary on how our lives are never really anonymous even when we might think they are. So there was a great plot Coben thought out with many intriguing avenues the story might go down. This book covers a few different stories but each are connected to this mysterious stranger who pops up out of nowhere as the bearer of bad news. Much of the plot asks the question of whether honesty is always the best policy. And whether it is anyone’s right to reveal the secrets of others. The story also deals with the consequences of secrets being opened up and the heartbreak they can cause to people. How maybe there is a good reason why some secrets should probably remain hidden. What Coben does with this starting point is brilliant as the story progresses. He shows how the opening up of the can of worms can often lead to further secrets from those with much to protect or spurred on by greed. A really good book with much mystery and the mundane of life mixed together in a wonderful crime cocktail. My late father would have being 73 today. He sadly passed away in 2008. 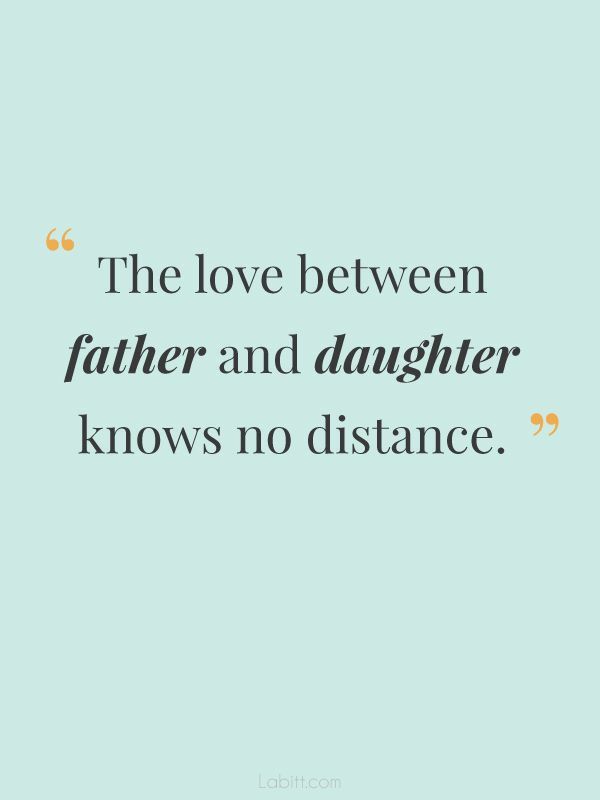 This poem is my tribute to my Dad, my best friend and my mentor today. invest in a good pair of shoes. It was the windows which Perry was situated behind. His mouth gagged. Arm chained to a pipe. Why am I here? How long have I been here? Darren placed Ethan’s severed limbs on the fire. There is still a chance that Alice will take me back now. He picked up his cell phone and rang Alice.